Courtney’s journey to becoming a healer began at age ten. While she was meditating, she had a vision of herself as an adult wearing a white doctor’s coat and holding her patient’s hands. Her reassuring words let her patient know that she would do all she could do to help them heal. And, in the vision, they were in luck, because Courtney had a special medicine at her fingertips. At age 20, Courtney was introduced to plant spirit medicine, and it changed her life. Receiving powerful medicine from plants gave her the support and guidance she needed to be the best version of herself. After experiencing this healing first-hand, Courtney knew it was important to offer this mysterious and powerful medicine to others. 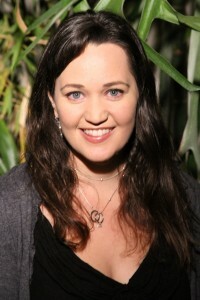 Courtney graduated from Eliot Cowan’s and Alison Gayek’s plant spirit medicine course in 2007. Courtney was inducted as a Lay Spiritual Healer by the Temple of Sacred Fire Healing in 2010 and currently practices in the greater Los Angeles area. Courtney attends continuing education classes such as the Plant Spirit Medicine Advanced Class and the Plant Spirit Medicine Association Conference every year. She also continues to receive plant spirit medicine healing sessions herself, recognizing that the challenges and stresses of our modern life are unique to our place in time. This medicine gives her the strength she needs to live life in natural harmony and offer deep healing to the community.